TSB Canada published the final report of their investigation into an occurrence involving a LOT Polish Airlines Boeing 767-300, June 2009. Erroneous instrument indications resulted in airspeed and altitude deviations. The LOT Polish Airlines Boeing 767-300 (registration SP-LPA) operating as LOT 2 departed from Chicago-O’Hare International Airport (ORD) and was destined for Warsaw (WAW), Poland. At 22:03 Eastern Daylight Time, while the aircraft was in level cruise flight in the vicinity of North Bay, Ontario, Canada the captain’s airspeed indicator suddenly increased above the maximum operating speed, and an overspeed warning was triggered. The flight crew reduced thrust to flight idle and initiated a climb. As the aircraft slowed, the overspeed warning stopped. The flight crew maintained the nose-up attitude with the reduced thrust setting but the captain’s indicated airspeed suddenly increased again, causing a second overspeed warning. As the flight crew reacted to the second overspeed warning, a simultaneous activation of the stick shaker occurred. During the incident the aircraft climbed from 33 000 to 35 400 feet above sea level (asl) and then descended to approximately 27 900 feet asl. 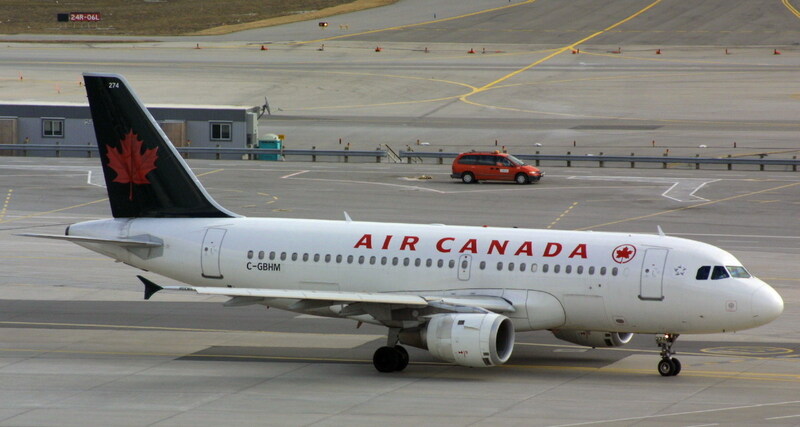 The crew diverted to the Toronto/Lester B. Pearson International Airport where the aircraft landed safely. There was no damage to the aircraft and none of the 10 crew members and 206 passengers were injured. There was a fault within the phase locked loop (PLL) circuitry of the ADC which resulted in sudden and erroneous airspeed and altitude indications on the captain’s instruments. The readings on the captain’s instruments were not compared to those on the first officer’s or the standby instruments. Consequently, the crew believed the captain’s instruments to be correct and made control inputs that resulted in significant altitude and airspeed deviations. LOT Polish Airlines initial and recurrent flight training syllabus does not include practical training for an overspeed warning event. Consequently, flight crews may respond improperly and exacerbate the situation. Although revision 5 of the Boeing SB 767-34A0332 requires changes to chapters of the FCOM, it does not specify what the changes should be. Therefore some manuals may not be properly amended, thereby increasing the risk of crews being ill-informed of the status of the aircraft they operate. The LOT Polish Airlines FCOM incorrectly states that the IAS DISAGREE and ALT DISAGREE EICAS messages will not be displayed on the occurrence aircraft during an unreliable airspeed incident. This increases the risk of a crew misidentifying a problem. The installation of CVRs with less than 2 hours of recording capacity creates the risk that relevant information will not be available to accident investigators and that significant safety issues may not be identified. During the initial examination and disassembly of the ADC, it was noted that there was a large build-up of dust and dirt inside the unit, which could cause an increase in the internal temperature. In the hold, with thrust at idle, the flight crew did not monitor the airspeed. In an attempt to maintain altitude, the autopilot increased the angle of attack until the stick shaker activated. During the recovery, the crew allowed the aircraft to climb through the flight’s cleared altitude, resulting in a loss of separation. 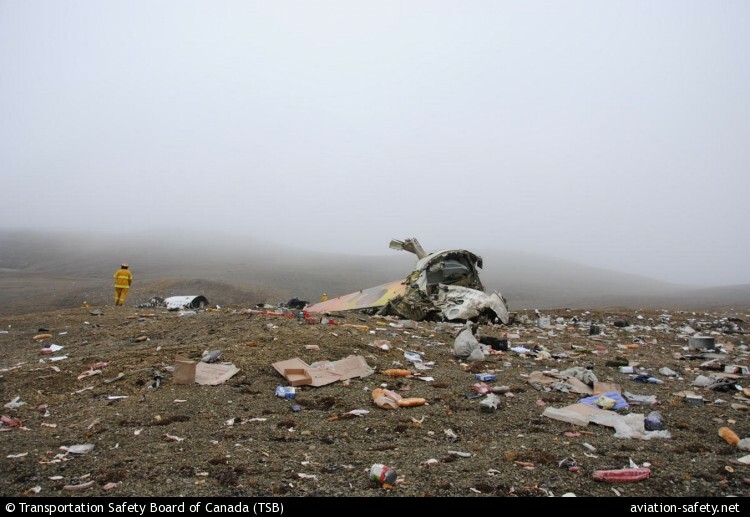 The Transportation Safety Board of Canada (TSB) released the final report regarding the fatal accident involving a Grumman Goose seaplane in August 2008. A Pacific Coastal Airlines Grumman G-21A Goose, registered C-GPCD, crashed near Alice Lake, British Columbia, Canada killing five of the seven occupants. The flight departed Port Hardy Airport, British Columbia, on a visual flight rules flight to Chamiss Bay, British Columbia. While likely climbing to fly above a cloud-covered ridge and below the overcast ceiling, the aircraft stalled. It struck trees. A post-crash fire ignited. The emergency locator transmitter had been destroyed in the crash and did not transmit. 1. While likely climbing to fly above a cloud-covered ridge and below the overcast ceiling, the aircraft stalled aerodynamically at a height from which full recovery could not be made before striking the trees. 2. The aircraft broke apart upon impact, and electrical arcing from exposed wires in the presence of spilled fuel caused a fire that consumed most of the aircraft. 1. While the company’s established communications procedures and infrastructure met the regulatory requirements, they were not effective in ascertaining an aircraft’s position and flight progress, which delayed critical search and rescue (SAR) action. 2. The emergency locator transmitter was destroyed in the crash and failed to operate, making it difficult for SAR to find the aircraft. This prolonged the time the injured survivors had to wait for rescue and medical attention.